This volume presents a series of studies by scholars working in Middle Eastern archaeology who actively apply social theory to interpret their fieldwork. It aims to highlight the value of using social theory in the interpretation of field work in a region where, traditionally, such approaches have not played a major role. There are a number of factors that account for why social theory is often under-exploited by archaeologists in this part of the world. In many countries, where large numbers of the foreign archaeologists are involved, a division between those doing fieldwork and those undertaking archaeological interpretation can easily arise. Or, the lack of interest in social theory may stem from a legacy of positivism that overrides other approaches. There is also the fact that archaeology and anthropology often belong to separate academic departments and are considered two separate disciplines disconnected from each other. In some cases the centrality of historical paradigms has precluded the use of social theory. There are also divisions between universities and other research institutions, such as departments of antiquities, which is not conductive to interdisciplinary cooperation. This factor is especially debilitating in contexts of rapid destruction of sites and the exponential growth of salvage excavations and emergency surveys. The papers integrate a wide range of perspectives including ‘New’ or ‘Processual’ archaeology, Marxist, ‘Post-Processual’, evolutionist, cognitive, symbolic, and Cyber- archaeologies and touch on many topics including 3D representation, GIS, mapping and social theory, semiotics and linguistics, gender and bioarchaeology, social and technical identities, and modern historical modellingy and social practices in Middle Eastern archaeology. The papers in this volume are of interest, both in terms of the presentation of new theory and new data. 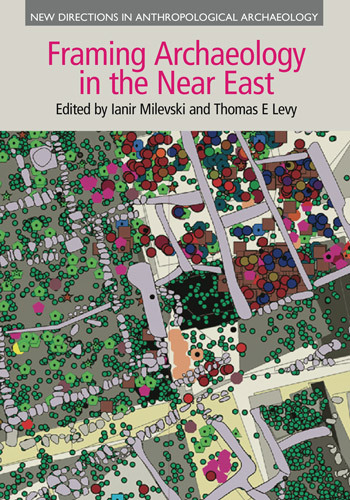 The volume represents an interesting attempt at discussing different social theoretical approaches to diverse types of archaeological data (analysis of ancient landscapes, funerary contexts, pottery manufacture, written sources, and visual imagery) and aims to broaden the interpretation of archaeological fieldwork data. A timely and welcome volume... joins a growing number of works that have recently engaged with the fruitful connections between general social theory and the deep history of archaeological enquiry.